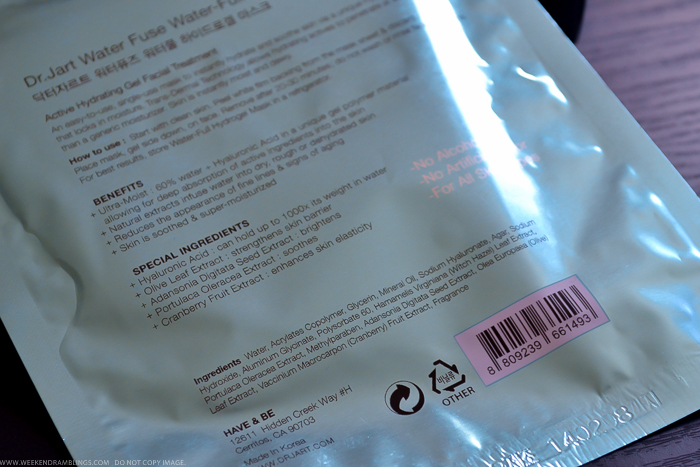 Continuing my obsession with sheet masks, the mask I have picked to review today is the Dr. Jart+ Water Fuse Water-Full Hydrogel Mask. I buy these from Sephora, and these masks are available to buy individually or as a set of 5 (that's slightly cheaper). What's a little different about this mask - compared to other sheet masks I have tried - is that it doesn't come soaked in any serum or essence. 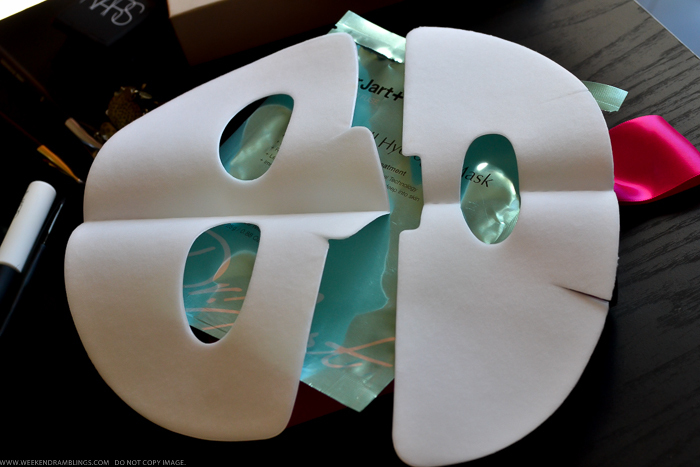 It's a clean, dry-to-touch mask that comes in 2 halves for the upper and lower part of the face. The mask claims to contain a unique Hydrogel material that helps the hyaluronic acid (sodium hyaluronate) and other natural extracts contained in the mask to get into the skin better and provide better hydration than a moisturizer. Comes in 2 separate halves - adapts much better to my face than most other sheet masks. To use, peel away the white paper and place the wet side of the cloth mask on to the face. Leave on for about 30 minutes. The mask feels quite cool on the skin, and I don't bother leaving it in the fridge, but if you like an extra-cool feeling, then you could try that. 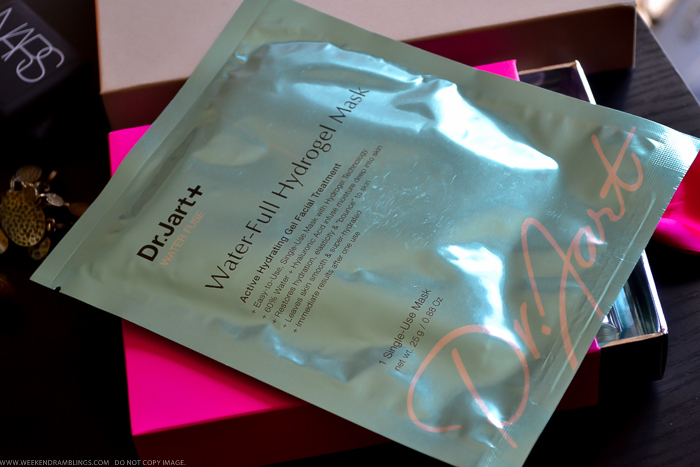 Dr. Jart Water-Full Hydrogel Mask is definitely the easiest to use among all the masks I have tried so far. There is absolutely no mess to it, and I can put it on and go about doing whatever it is that I want to do without worrying about the mask slipping or falling. The mask has some slightly sticky transparent serum over it, that absorbs into the skin over time, and I remove/discard the mask after about 30 minutes. Can leave it on longer, but it tends to stick to the skin a bit after that. There is no serum left behind on the skin to massage or wipe off, and I usually follow this with a light moisturizer. As for results, this mask claims to hydrate the skin, and it definitely does a good job of it. I have oily-combination skin that gets the occasional dry patch, and this mask makes my skin feel hydrated without ever looking oily or greasy. I amn't sure how effective it would be for really dry skin, but for me, this is the perfect mask to use when I want a boost of moisture without worrying about getting oily. The mask has mineral oil listed in the ingredient list, but strangely enough, it doesn't seem to make my skin oily.